Neil Armstrong (1930 - 2012) - Known as the first astronaut to walk on the moon. He is said to have played the baritone horn. 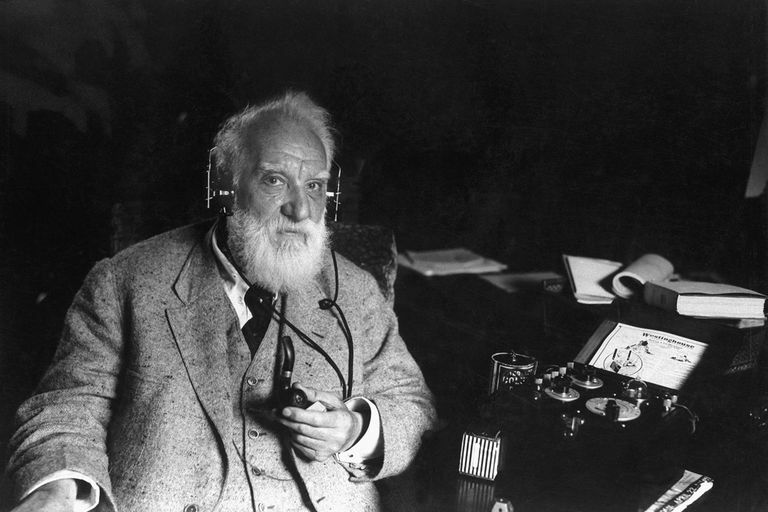 Alexander Graham Bell (1847 - 1922) - He invented the telephone before he turned 30. His training and education came chiefly from his family and he is mostly self-taught. He reportedly played the piano. Louis Braille (1809 - 1852) - A French educator who invented "Braille," a method of writing and printing named after him which enabled the blind to read through the use of their hands. He was blinded when he was three due to an accident but he was an excellent organist. Charles Dickens (1812 - 1870) - English writer notable for his novels including A Christmas Carol, A Tale of Two Cities and Great Expectations. He played the accordion. Thomas Edison (1847 - 1931) - Prolific American inventor with 1,093 patented inventions. He created the world's first industrial research lab. Edison played the piano. Albert Einstein (1879 - 1955) - Physicist who won a Nobel Prize in 1921, known for his theories of relativity and gravitation. He played the piano and violin. Donald Glaser (1926 - 2013) - Physicist who received the Nobel Prize for Physics in 1960 for his "bubble chamber" invention. He played the violin. John Glenn (1921 - 2016) - Known as the first U.S. astronaut to ever orbit the earth. In 1998, he again went to space on board the space shuttle Discovery at the age of 77. He grew up in a musically talented family. Thomas Hardy (1840 - 1928) - Poet and novelist, among his notable works are Tess of the d'Urbervilles and Jude the Obscure. He played the accordion. Trevor Pryce (born August 3, 1975) - Football player, plays for the Denver Broncos. Pryce plays the drums. Oscar Robertson (born November 24, 1938) - Basketball legend, he played for the Cincinnati Royals and the Milwaukee Bucks. Robertson plays the flute. John Smoltz (born on May 15, 1967) - Major league baseball player who reportedly also plays the accordion. Wayman Tisdale (1964 - 2009) - Basketball player who was also a brilliant bass guitarist. He released several albums, his last album being titled Rebound. Bernie Williams (born on September 13, 1968) - Major League baseball player for the New York Yankees. He also plays the guitar and composes his own songs. His debut album is titled The Journey Within.